A chatbot is fundamentally a product you can talk with. If you use it right, your life will be much easier, instead of looking something on the web, you can basically ask chatbots what you need to know. Chatbots have surprised the world. It’s not simply that the innovation world that is captivated by this most recent conversational innovation, but also different sectors that need to have an edge on the competition. In spite of the fact that they can’t take on a similar mindset as a human yet, despite everything they empower you to specifically cooperate with the brand you’re keen on, which was close to impossible. Chatbots are driving the digitization of the human interaction, and there is no uncertainty they’re turning into an unavoidable part of our regular day to day existences. 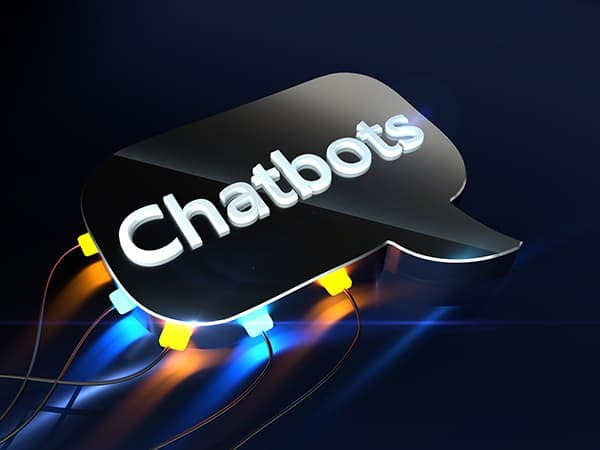 2017-18 appeared to be the time of chatbots, yet 2019 will be significantly greater. However, when it comes to building a chatbot, there are different languages that can be used. Let’s see some of the best languages to build a chatbot. Python is the most loved of chatbot developers far and wide. The credit goes to the presence of AIML, Artificial Intelligence Markup Language that makes it less demanding for engineers to compose syntax. The effortlessness removes the coding difficulties and diminishes the likelihood of errors. AIML is a type of XML for making natural language programming agents. Python is utilized to make the conversational components that are hosted on the web server. Concerning natural language processing (NLP), the grandfather of NLP incorporation was written in Python. Natural Language Toolkit’s (NLTK) initial release was in 2001, five years ahead of its Java-based rival Stanford Library NLP, filling in as a wide-extending asset to help your chatbot use the best functions of NLP. Clojure is a dialect of a programming language called Lisp. It’s a functional programming language that keeps running on Java Virtual Machine. Clojure empowers you to compose your application’s code as a series of functions which are straightforward and simple to test. As a functional language, it features recursion and higher-order works rather than side-effect-based looping. It was created by Rick Hickey, who said he needed a cutting-edge language for functional programming, which would deal with the established Java platform. Making a chatbot in PHP is very cheaper in light of the fact that it’s an open source language and it’s very easy to utilize. It is a lot quicker than other scripting languages and there are numerous libraries accessible for you to work with API. Also, it empowers engineers to make the application connect with various third-party applications. On the off chance that you make a chatbot in PHP, it will be extremely simple to run it on any platform since it’s platform independent. PHP is a high-level language and a chatbot can be extremely effectively made with it. Such an application is utilized to create a chatbot that needs to work in an intricate IT environment. Java can give all of you the high-level highlights you require for AI projects. If you need to create an AI chatbot, Java is likely the best language you can utilize in light of the fact that it offers a simple method to code algorithms, and AI is loaded with them. It likewise keeps running on the Java Virtual Machine innovation and if you use it you can make an application that keeps running on any platform. Java has the most vital features for a refined interface, as facilitated visualisation and standard Widget toolbox. This object-oriented programming language looks like Perl and Python with regards to composing a syntax. The effortlessness of Ruby programming and accessibility of a wide range of good libraries makes it very famous in the midst of chatbot engineers. In this language, everything is an articulation and everything is executed importantly. Nonetheless, making a chatbot with Ruby may be costly. It is at first accessible for free, however, you should purchase a license sooner or later. It is additionally not entirely adaptable for engineers since it’s not autonomous like Java or PHP. To finish up, organizations must pursue the patterns and adjust to what the market requires so as to remain competitive. Chatbots are as of now one of the most sizzling things in marketing and they’re an absolute necessity for each business that will develop. There are numerous methods for making them, and you need just pick the one that suits your organization best.